Looking for a reliable canine equipment to train properly your Dalmatian? The presented item will be a perfet choice! 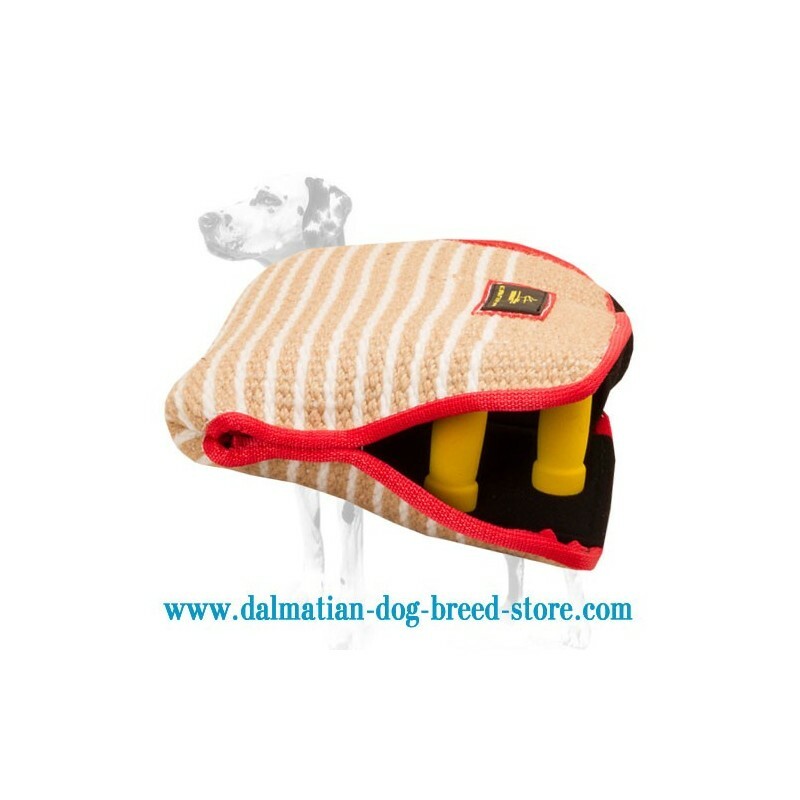 This products is a 2-in-1 item for efficient dog training: it is both bite sleeve and a bite builder combined together! A lot of trainers all over the word have highly valued this dog supply. Each detail here is well-thought by the leading manufacturer to provide you with comfort and your dog with safeness. 1. Jute material. It is considered to be health-safe, soft for gums and durable. 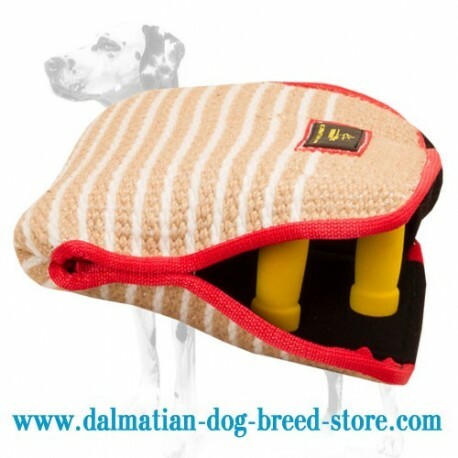 So your dog's oral cavity won't get injured while training with this dog gear. Also, absence of toxicants guarantee your dog won't get allergies. 2. Ergonomic design. This dog supply is equipped with 2 padded sturdy handles. with their help you can hold the item firmly when training your pet and thus get better control over the training process. Well-thought design allows you to use this item both as a bite sleeve and as a bite developer. 3. Extended field of use. 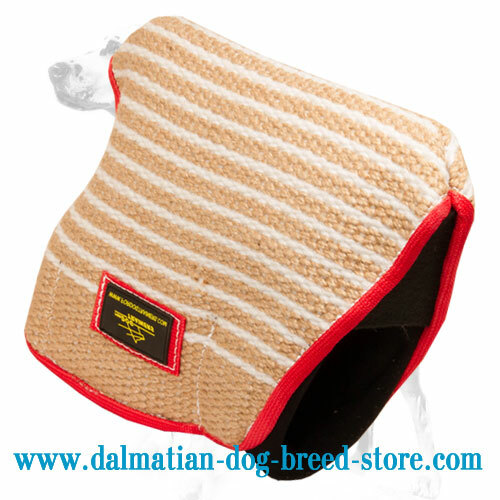 This Reliable Dog Bite Sleeve is suitable for bite training as well as for building stronger grip. And also it will help to develop your dog's hunting and protective instincts making him/her ready for future police, military or IPO traiing.